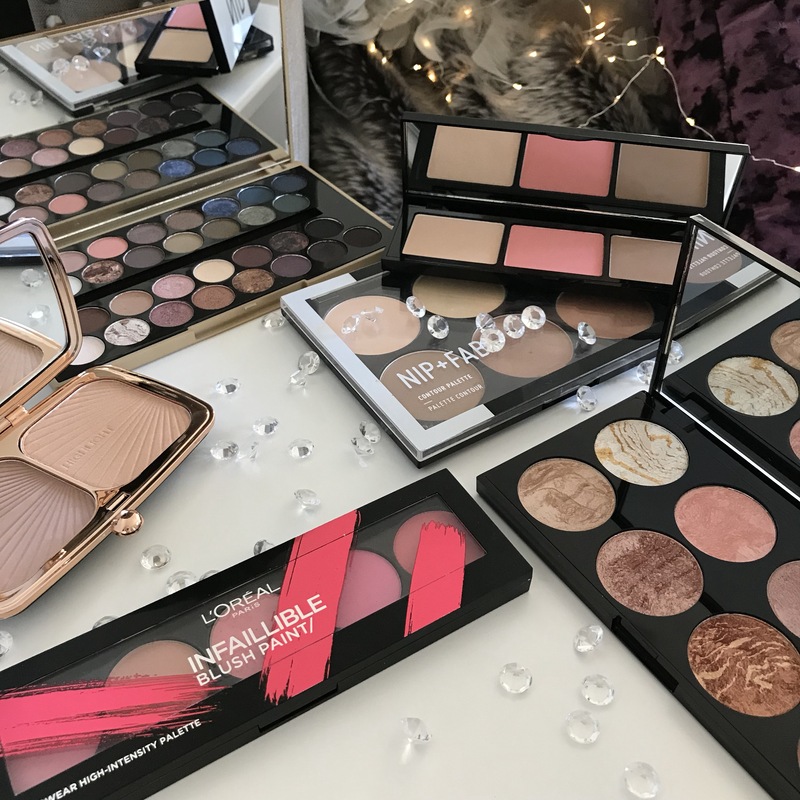 I think palettes are one of my favourite things to buy, I love the variety of colours you have in them and the colours I wouldn’t normally buy individually but end up loving. 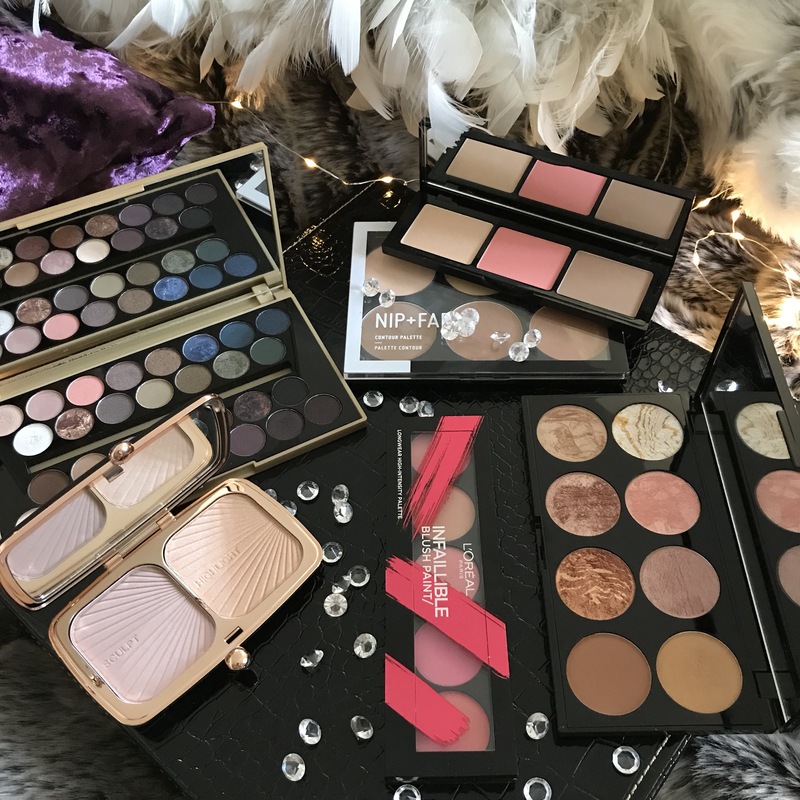 I have put together my favourite palettes to share with you. I bought this eyeshadow palette about a year ago and still love using it, my favourite shades are the pink shimmery ones. The main reason I love this palette is because the colours can be used all year. You have your dark autumnal shades are your light spring/summer shades. You can read my original review here. I featured this palette in my October Favourites, it is perfect for a simple makeup look and it is only £8. This palette has 5 pretty pink shades so if you love blushers then this one if perfect for you. I never used to wear blusher but over the last few years I have started to love it more and more. This one is £14.99, I always try to get my products when Boots or Superdrug have a 3 for 2 offer on. This palette has everything in it! They are all shimmery shades but are SO PRETTY ✨ the white highlighter in the corner is beautiful! I don’t usually use the palette for everyday makeup looks and it does leave you glowing but it is really pretty and only £8. I don’t think you can go wrong with makeup revolution as it is such an affordable brand and everything is so pigmented. I have this palette in the light shade as I am quite fair. I love using the first two pale shades to set under my eyes and the middle dark shade at the bottom to contour. Once I have my base completed I use the mocha shade on the top right to brush over my whole face, it has a slight shimmer to it and I find it blends all of my makeup perfectly. This was one of the first products I tried from Nip + Fab and it made me want to try more! I picked up this palette when Superdrug had 1/3 off of Nip + Fab so it was only about £6 this is also in the light shade. The highlighter that comes with this is one of the best highlighters I have used! It will also be so handy for my holiday next year! 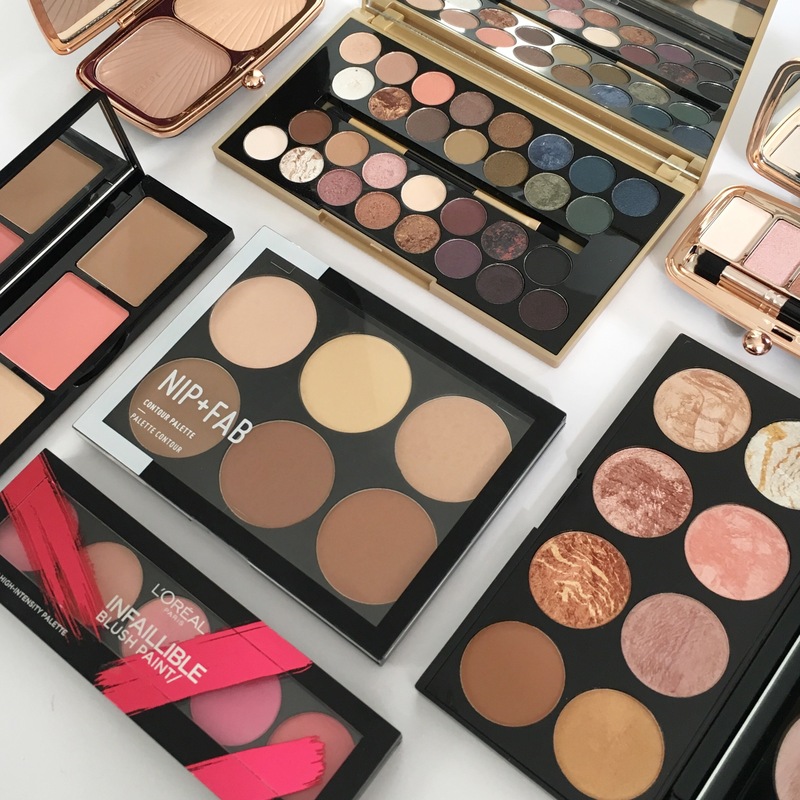 These are all of my favourites palettes, let me know in the comments below what your favourite palettes are. Oh this gave me so much palette envy. I too love great palettes! I can’t believe I don’t have That mur fortune favours the brave palette! It’s absolutely gorgeous, there really does seem to be shades for every season and occasion! Oh I love a good palette! The Golden sugar palette in particular looks gorgeous. I’m yet to try anything from Nip + Fab but that palette looks lovely too! Those are some beautiful colours, I love the Fortune Favours The Brave palette it is stunning, the colours are gorgeous. The Fortune Favours the Brave palette is one of my absolute favourites. Like you say, it’s so versatile and I love the variety of shades and shimmer / mattes with every colour! Your photos are always so amazing! Great colours!